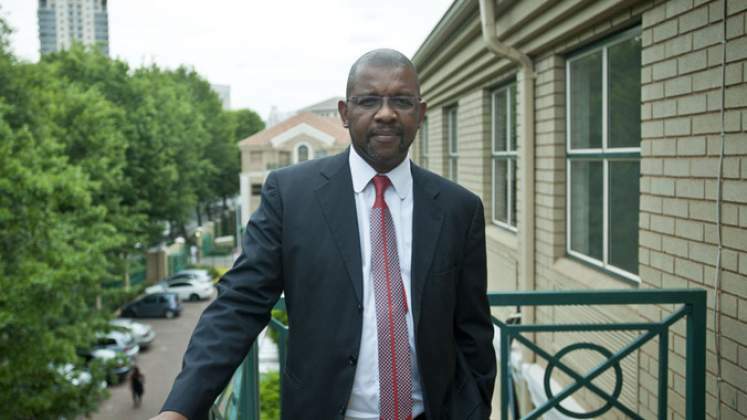 South African Senior Advocate Dali Mpofu has teared the Zimbabwean government apart calling it a continuation of the old order which stifles democracy and continues to implement laws that were used to protect the Mugabe regime. Adv. Mpofu was commenting on the recent high profile constitutional case in Zimbabwe where Opposition MDC- Alliance leader Adv. Nelson Chamisa was challenging the Presidential victory of Emmerson Mnangagwa. In an exclusive Interview with The 1873 FM, Adv. Mpofu said, "The decision to deny Ad. Nelson Chamisa his right to a representation of Choice was a political decision and not a legal one. We had got all the clearance from the relevant institutions and we were told that the only thing now remaining was a letter of authorisation from the Minister of Justice. And be mindful that the Minister was the Chief Election Agent of Mr. Emmerson Mnangagwa and was an interested part in this case. we found it absurd that one of the potential litigants has the power to choose the representation of the applicant. "When I confronted Former Justice Minister Patrick Chinamasa outside court he boasted that he is the one who created this law that stopped us from properly representing Chamisa. To me it reveals the hypocrisy of this government which is preaching that Zimbabwe is open for business. It reveals that this mantra is nothing but nonsense. All this talk about a new dawn is just lies. "How can you be open for business when professionals are not allowed to practice in your country? We are busy in South Africa preaching Pan-African-ism, fighting xenophobia and teaching people about regional integration and yet you have an African government that behaves contrary to these beliefs that the whole of Africa is preaching. " Adv. Mpofu said the government of Zimbabwe has not had the last of him. He is going to escalate the fight for jusrtice, equality and democracy. "They have touched the wrong person, I m not going to let this go just like that. if we want to fix this continent We must speak out and against such issues and this is the case that I am going to push to the end." Said Adv. Mpofu.